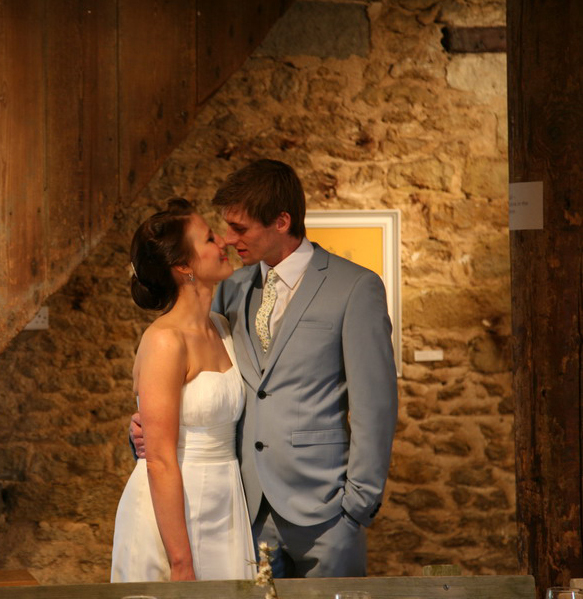 Sladers Yard makes an ideal venue for a wedding reception, dinner, drinks or dancing party. We are taking bookings now for Christmas parties. Please call 01308 459511 to discuss. Events at Sladers are tailored to your needs and budget. Whether you are married in a local church or Bridport Registry Office, nothing could be more romantic than to celebrate your wedding by the sea at Sladers Yard. With its rustic walls and stunning conversion it is fun to decorate in your own style. Our food is renowned and we design the menu to suit your taste and budget. The yard outside makes a great setting for evening drinks. The two ground floor rooms can be used for dancing / bar or smart dining rooms. We are pleased to discuss special menus for sit-down dinners for up to 60, or stand up buffet for more. Our charming staff and delicious food and wine lists are here to make your evening magical.